. 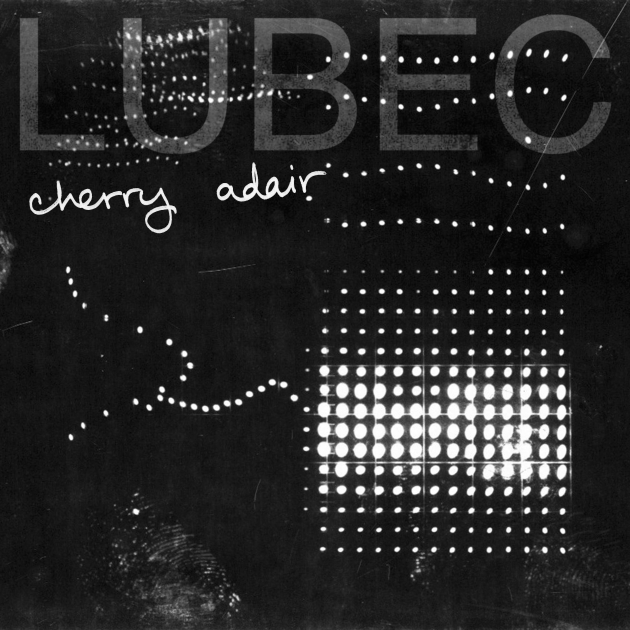 : Be Prepared: Lubec | Nothing Is Enough EP Teaser "Cherry Adair"
If you harbored some concern that the nascent Virginia noise-pop scene we chronicled last year with these features on Cinemasophia and Lubec had fallen fallow, fear not. Cinemasophia is no more, but band principal Landis Wine has been hard at work churning out compelling music with his White Laces project (more on that soon). And now we have word that self-professed Lilys disciples Lubec will return this fall with a new, self-produced record and new label. The label, The Acme Thunderer, is slated to launch Oct. 9, and it will release that day Lubec's very promising, six-song Nothing Is Enough! EP. The short stack of songs will be available on CD, vinyl and digital download, and the collection is one of a half-dozen or so The Acme Thunderer is slated to issue. Other releases in the pipeline include collections from the aforementioned White Laces and Ghost Lotion. Those acts and Lubec play a launch party for the label Oct. 9 at Gallery5 in Richmond, VA. Lubec aims to begin recording for a planned full-length release that it hopes will see the light of day in early 2011, in time for some spring touring and a trip to the annual SXSW music confabulation. Lubec's Eddie Charlton got in touch and gave us the go-ahead to post Nothing Is Enough! 's brilliant "Cherry Adair," whose stream or download you can grab below. Based on the metadata with the file, the song is slated to sit in the center of the EP, but it is certainly strong enough to be a lead cut. The production is a bit remote (think Black Tambourine), but that is solved by cranking the volume, something you'll be compelled to do about a minute in when the first pre-chorus explodes. What first pushes the song deep into genius territory is the little melodic hook in the chorus, "I don't know why everybody seems to know your name." And then there is a transporting guitar solo. Is this what Lilys would sound like covering Silver Jews? We think it is, and we can't wait to hear more. YouTube Rodeo: Line Drawings' "Interstate"
Today's Hotness: Little Gold, Philistines Jr.